The House of Fates, a new Budapest-based memorial and museum slated to be opened next year after years of delays, has divided Hungary's Jewish community amid claims that the government-supported Chabad of Hungary is working to shift the blame for Nazi war crimes away from Hungary's collaborationist government. In a statement, EJC President Moshe Kantor slammed the Hungarian government for what he said was an attempt to "whitewash" "Holocaust memory" by excluding "the lived experience and historical expertise of the Hungarian Jewish community in the preservation of the memory of the Holocaust." Kantor also said that the appointment of Maria Schmidt, a historian who has been accused of trying to minimize the complicity of the wartime Hungarian government in the Holocaust, to head the museum was "unworthy of a country which claims to abide by the norms of democratic governments in the European Union." Schmidt has also been accused of trying to minimize the Holocaust in other ways, including by suggesting that the Nazis were no worse than the Soviet occupation of Hungary after the war. Accusing his Chabad opponents of having "no tradition and no historical roots in Hungary," Kantor said that the organization "enjoys no support of the Hungarian Jewish community." The $22 million House of Fates state-supported museum project, which will be run by the Chabad-affiliated Unified Israelite Congregation of Hungary (EMIH) when it opens next year, has been criticized by some of Hungary's other Jewish communities, including the EJC-affiliated Mazsihisz Federation of Hungarian Jewish Communities. Israel's Yad Vashem Holocaust Museum has also distanced itself from the memorial project. Chabad confirmed last week that the government and the EMIH would be jointly running the museum, but said that Schmidt would not be heading the museum, but only helping to design its main exhibition. The European Jewish Association, headed by Chabad Rabbi Menachem Margolin, defended Chabad, saying that the EJC's criticism was unfounded and shows how "far they are removed from the community and the realities on the ground." Rabbi Slomo Koves, the EMIH's chief rabbi, responded to Kantor's criticism by calling him a "post-Soviet oligarch" and "an outsider in Europe," and accusing him of attempting to "meddle in Hungarian Jewish affairs." An EJC spokesman said it would stand by its affiliate, and said it was "extremely disappointing on the eve of Yom Kippur" for a rabbi to "engage in such malicious gossip and attack a fellow Jew, especially one who has dedicated his life to Jewish causes in Europe." 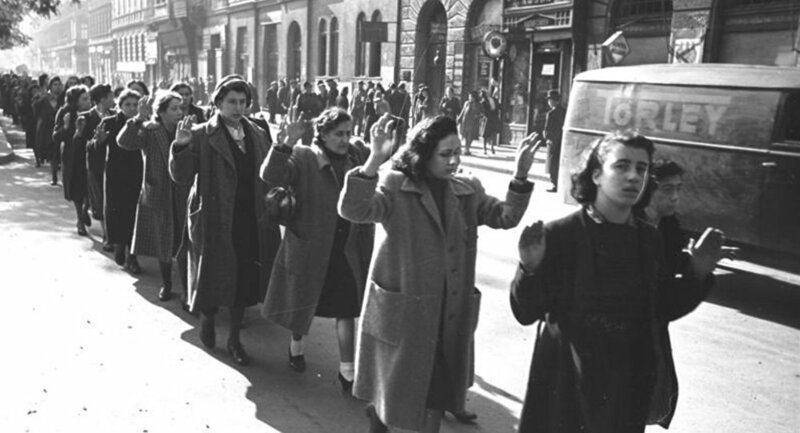 An estimated 565,000 Hungarian Jews perished in the Holocaust. Some 140,000 Soviet troops also died in Hungary in a campaign to liberate the country from the Nazi-allied Horthy government.